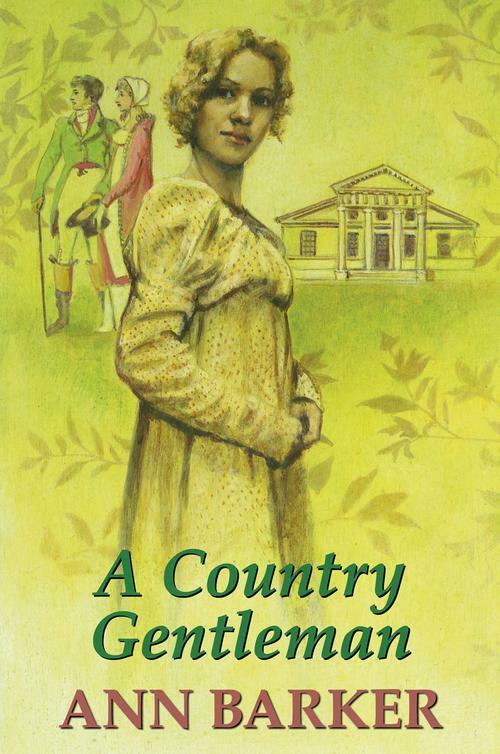 READ A Country Gentleman FREE online full book. , he mused. Later he would go and inspect it. Later, when it was fine; but not now. He put his spectacles down on top of the letter that he had just been reading, pushed back his library chair, and strolled over to the window. It was a grim day, indeed; so unseasonably chilly in fact that even such a hardy individual as the earl had ordered a fire to be lit. He smiled down as Lilly, his brindled greyhound got to her feet, and began prancing about, her tail wagging in anticipation of a walk. Bending, he stroked her head gently, pulling her silky ears and looking down into her trustful, melting brown eyes. He looked outside again, and frowned briefly as he saw one of his gardeners going doggedly about some task. Walking over to the mantelpiece, he rang the bell, and then kicked the logs in the hearth into some more positive action with his booted foot. When the footman entered, his lordship was in the act of putting two more logs onto the flames. ‘Allow me, my lord,’ said the footman hastening forward. Dressed immaculately in dark green with fawn trim, the servant, like all his lordship’s male staff, wore his own unpowdered hair, tied back in a queue. possible. The cook may have packed the basket, but the earl would have ordered it to be done. After the footman had left, the earl remained looking down into the flames. Lilly, who was never far from his side, trotted over to where he was standing, and lay down next to him, her head on her front paws. His lordship was still standing in the same place when the footman returned with claret on a tray. ‘Jenks was tying up one of the climbing plants, my lord,’ he said as he set his burden down on a small table. Jenks was only one of many servants who had known the earl throughout his life. Victor William Carey Scott, sixth Baron Northborough, fourth Earl of Thurlby had been born in this very house just over thirty-four years ago. He had not been destined to be the earl, being the younger of the two sons born to the third earl and his countess. There were no other children, and there had been ten full years between the two boys. Victor, still only a baby when his brother had gone off to Eton, had hardly known him in adult life. A tragic riding accident to the third earl’s son and heir had brought about Victor’s elevation, first to the position of Viscount Croyland, then upon his father’s death, to the earldom itself. , and not so popular. No doubt, too, this fictitious younger son would ingloriously rejoice over the death of his sibling. The truth was far less exciting. The death of Allan had been deeply grieved by all; but his father, although much distressed at Allan’s death, had never doubted his younger son’s abilities. As the third earl had lain dying, Victor had been summoned to his bedchamber to make his last farewells. ‘God bless you and keep you, my boy,’ the dying man had said. ‘You’ll do your duty. You’ll look after your mother. You’ll care for our people.’ It hadn’t been a request for some kind of reassurance. It had been spoken with confidence; a comforting thought for the old earl to dwell upon in his last earthly moments. He had had no doubt that his son would indeed do his duty; that the heavy charge of the earldom with all its responsibilities together with its privileges would be safe in this young man’s hands. that he was unusual amongst men of his class, infinitely preferring country life to town pursuits. He liked the company of his neighbours, finding it as easy to chat with the local farmers and professional men as with the Earl of Burghley, his near neighbour. Looking round at the oak-panelled library, surrounded by the smell of books and leather, he felt at home and at ease with himself. of ladies. He had kept a mistress in Stamford for several years, until she had decided to move to London, wanting a taste of city life. Since her departure over a year ago, he had never lacked for female solace when he had a need for it. As for a countess, he only had to look at his own mother to decide that a lady would have to be very special indeed to take her place. He had not yet found anyone that special, and he was not prepared to settle for second best. There had been a young lady to whom he had been very attracted when he had still been Viscount Croyland. He had dreamed of marrying her and living happily ever after. What a foolish fantasy that had been! Nevertheless despite the heartbreak of the past, he had no wish to see the title die with him, but that was unlikely to happen. He had a distant cousin who would be the one to succeed him, and he knew nothing to the man’s discredit. He could afford to look about him at leisure. He walked back towards his desk and picked up a letter which had come to him that day from London, consulting him about some matter. Lilly raised her head from her paws, thought about following him, then settled back again close to the fire. There were some of his station who, on receiving such a missive, would immediately have been calling for their bags to be packed so that they might head for the capital without delay. Thurlby was not one of their number. He would not dream of neglecting the request that had been made of him. At the same time, he could not think of any reason why he should be obliged to visit a place that he cared for so little. A thoughtful letter in reply would suffice. If his correspondent wanted more of him, then he could come to the country. a few moments’ thought, the earl picked up the letter again, and put his glasses back on in order to examine it further. Her voice was his only inheritance from her. She was slim and willowy, her bearing still proud and elegant despite her sixty-odd years. Her once fair hair was now white, and her blue eyes retained some of their youthful sparkle. Dressed fashionably in a gown cut in the new Empire line, she looked like a superbly dressed woman of her own age. The earl sighed, grinning at the same time. ‘Now why should that have such an ominous ring?’ he mused, as if talking to himself. hair was swept back from his broad, intelligent brow, and his hazel eyes, rimmed with green, were exactly like his father’s. His chin was square and manly, and gave the impression of one who would not easily be swayed from his chosen course. It was true that he was not as conventionally handsome as his elder brother had been, and was inclined to deprecate his own looks. A severe expression did not bring out the best in him, but when amused and at his ease, he could truthfully be described as an attractive man. He could easily have married e’er now, had he not been so picky. The countess’s expression softened. ‘Sometimes, Victor, you are so like your father,’ she said. that they had only been granted one child, the little daughter to whom the countess and her husband and another friend had acted as godparents. They had not lived nearby; indeed, the Muirs had spent a large part of their married life abroad, where Richard Muir had been employed at various embassies as a minor functionary. Once Lavinia was old enough, she had been sent to school in England, and the headmistress had been prepared, on payment of a fee, to keep the child at school during the holidays if necessary. Needless to say, if an invitation was ever issued for her to stay with friends, then she was encouraged to accept it.